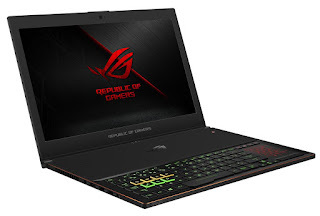 ASUS ROG (Republic Of Gamers) announces the beginning of pre-order for first 8th Gen Intel Core processor laptop - GL503 & GX501 on Flipkart, Croma & ASUS Exclusive Stores. GL503 & GX501 are powered by the latest 8th Gen Intel Core processor and comes loaded with latest NVIDIA GTX 10 series GPU for unmatched performance. The GL503 & GX501 comes with 120Hz & 144Hz high refresh rate respectively for immersive gaming experience.